Burdock oil is obtained from the roots of burdock, unlike many other vegetable oils, which are directly wrung out from certain parts of plants, seeds, fruits or roots, it is obtained by the oil extraction method - burdock roots insist on olive, almond, peanut, sesame or other fat vegetable oil. 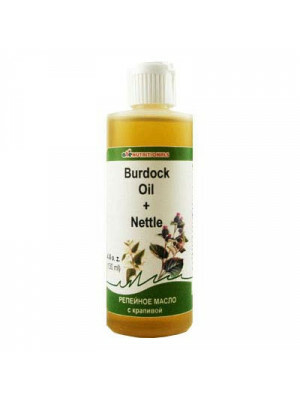 The idea to use burdock oil for hair is far from new, but, nevertheless, popular to this day. And it's all about the unique properties of this product of nature, and its positive-beneficial effect on the structure of the hair. 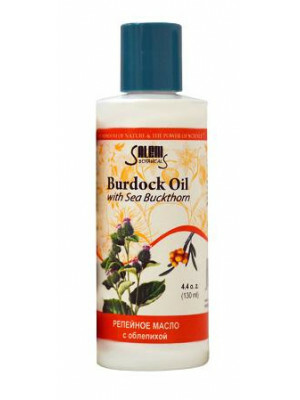 If more detailed, burdock oil helps to restore the full metabolism, and also to strengthen the capillary circulation in the scalp, and thereby significantly strengthen the hair shafts and maximize the natural growth of hair. 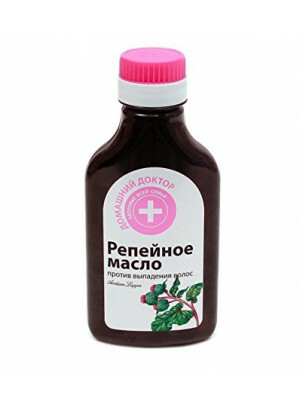 In addition, with its help you can not only prevent, but also stop the already progressive hair loss. Burdock is a plant belonging to the Asteraceae family and is popularly known as Arctium. The plant has a large heart-shaped leaf with a very coarse texture. The plane is harvested and flowering is usually observed just after the monsoons, till October. However, the flowers have prickly heads and it is actually the roots that are used during the oil extraction. The roots are crisp, sweet and carry a mild taste just the artichoke. The flowers are edible only if they are still tender and should be collected before spring while they are still very young. The stalks are edible as well and are eaten both raw and after cooking. This oil is also known as Burl Oil and is extracted from the leaves and the roots of the burdock plant. The oil is known to have both medicinal and cosmetic benefits. It has also been commonly used in food and drinks since ancient times, though rather as a medicinal component than as a flavoring. This oil is a highly effective diaphoretic, diuretic and helps in blood purification. However, recently, they have found more popular use in scalp treatment. For scalp treatment, it is generally combined with some other type of oil such as olive oil using the cold extraction process. This process ensures that the nutrients in the oil are distributed evenly over the scalp. The other variant of the Burdock oil is the burdock seed oil and has a relatively lower percentage of essential fatty acids. There are a lot of different recipes for the extraction of this oil. One of the easiest methods is to first chop up the burdock roots into small pieces and smash them into a pulp. You may use mortar and pestle if that helps. However, make sure that the flesh has been sufficiently exposed. Leave this to dry in the sun till it has lost all the excess moisture in it. When the smashed roots are sufficiently dried, they are highly concentrated with oils and nutrients. Now you can put them back into a glass jar and add some good quality vegetable oil over it. Close the lid tight and leave the jar undisturbed for a few weeks. However, make sure that you regularly bring out the mixture in the air to prevent the buildup of gas inside the jar. The roots and the leaves are the main components used in the oil extraction. Both these parts are very rich in chemicals such as glycosides, tannins, flavonoids, volatile oil, polyacetylenes, inulin, mucilage, resin, alkaloids, phytosterols, caffeic acid derivatives and essential oils. The oils contain up to 45 percent inulin and have high quantities of polyacetylenes which help in fighting bacteria and fungi. Apart from that, they are also very rich in vitamins A, B2, and fatty acids. Almost every part of the burdock plant is considered to have medicinal properties and is used both in the raw form and added to food items. Burdock oil is very effective in treating skin problems such as acne. 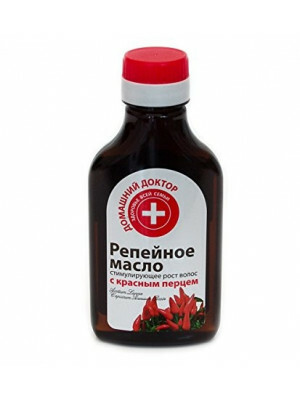 It is also added to beverages to gain relief from joint problems. The oil helps in healing when applied to cuts and burns. In a few countries such as Japan, this very oil is increasingly used in cosmetic marketed in the stores. The oil is also very effective in maintaining a healthy scalp health. Massaging the scalp three times a day can deliver amazing results in a very short amount of time. The oil provides the much-needed nutrition to the hair follicles and deeply conditions the sebaceous glands, preventing and reversing dryness. It is the magic ingredient when it comes to treating skin conditions. the oil is known to be very effective in treating acne and psoriasis. Due to a high content of polyacetylenes, the oils have natural antibiotic and antifungal properties, thus helping you fight the streptococcus bacteria that cause acne. It is also used in the treatment of eczema, fungal diseases such as candida and also helps in improving skin complexion to a certain extent. The oil can be added to drinks or applied directly over the skin. This is one of the areas that find the popular use of Burdock oil. Massaging the scalp with this oil helps in improving blood circulation and thus promotes healthy hair growth. The oil is very rich in fatty acids and phytosterols and helps relieve irritation and various other scalp disorders like dandruff and dry hair. You can apply a mixture of burdock and olive oil to the roots and also add a few drops to your shampoo bottle. If you have been troubled by diabetes, it can be the best and the safest solution for you. It has been known to have blood sugar lowering effects by strictly regulating the absorption of blood sugar into the bloodstream. Burdock oil helps the body to filter out excess wastes from the blood, thus eliminating the risk for toxin builds up in the body. This is because the burdock root oil helps the liver to produ8ce more of the bile, which plays a key role in eliminating toxins from the body. Bile is also a digestive juice and assists in a smooth digestion. It can even be highly effective for those people who have suffered liver damage to a great extent due to the use of excess alcohol. Burdock oil enhances the diuretic action of the kidney. It helps the kidneys to absorb more water from the blood leading to increased urine output. This can ultimately have a complete detoxifying property on the body and help in removing the excess toxins on a regular basis while also lowering the risk of formation f kidney stones. 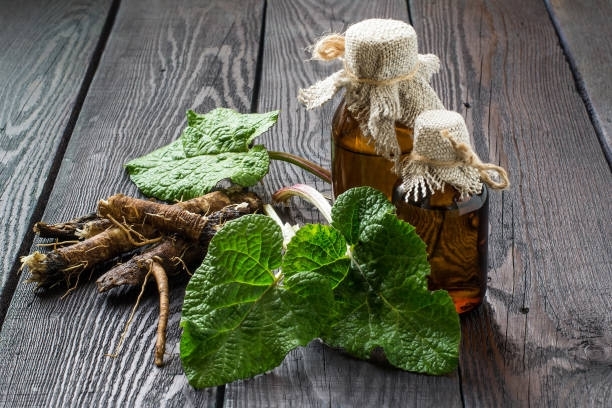 Burdock root oil is known to have properties that contain the spreading of mutated cells, thus helping in controlling cancer and tumor. It does contain a compound known as the arctigenin which is known to have anti-cancer activities. However, the effectiveness of the compound depends on the type of cancer cells under consideration and may or may not be effective towards all the cancer tissues. This oil has anti-inflammatory properties and is known to be helpful in reducing the swelling and joint pain associated with arthritis as well as other joint diseases like gout and sciatica. How to make oil from burdock at home? It is not very difficult to prepare this at home. First, chop up the dried burdock roots and smash them into fine pieces. Leave this to dry till the moisture has sufficiently evaporated. You can now put these dried roots into a jar and pour some olive oil from the top. Store this away for about six weeks and you will have your oil infusion ready for use. You should remember to bring the jar out in the sun regularly so as to prevent gas formation and bacterial growth. Is it safe to use burdock oil? Burdock oil is used for treating a number of internal and external ailments and finds popular use, especially in Asia. The plant is not associated to have triggered any type of health issues except in cases where the people are already intolerant or allergic towards certain other herbs including burdock. However, it is best to consult a physician before you start using this oil. Also, pregnant women should refrain from using this oil as it can increase bleeding after the surgeries. It has been known to sometimes have caused a rise in the blood sugar level of patients. You should also be careful while using the oil for therapeutic purposes as any slight imbalances can cause major skin allergies and electrolyte imbalance in the body. This oil also reacts with drugs such as aspirin, ibuprofen, warfarin, clopidogrel, and diclofenac. You should, therefore, be very careful if you are already on some other medications. 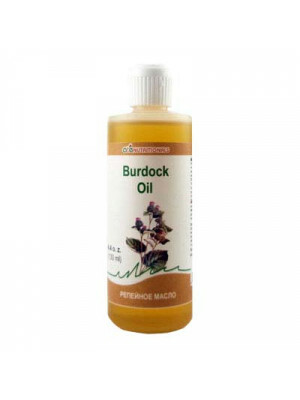 If used in the right manner, Burdock oil could be the answer to your physical as well as mental well being. The oil has versatile uses and is also very easy to use. You should, however, be careful about the does and consult a physician if you have been on any other side medications.